@Di-lite your suggestion made all the difference in this project. The centerpiece is made with heavy cardstock which wasn't much fun but it is going to stay upright now. 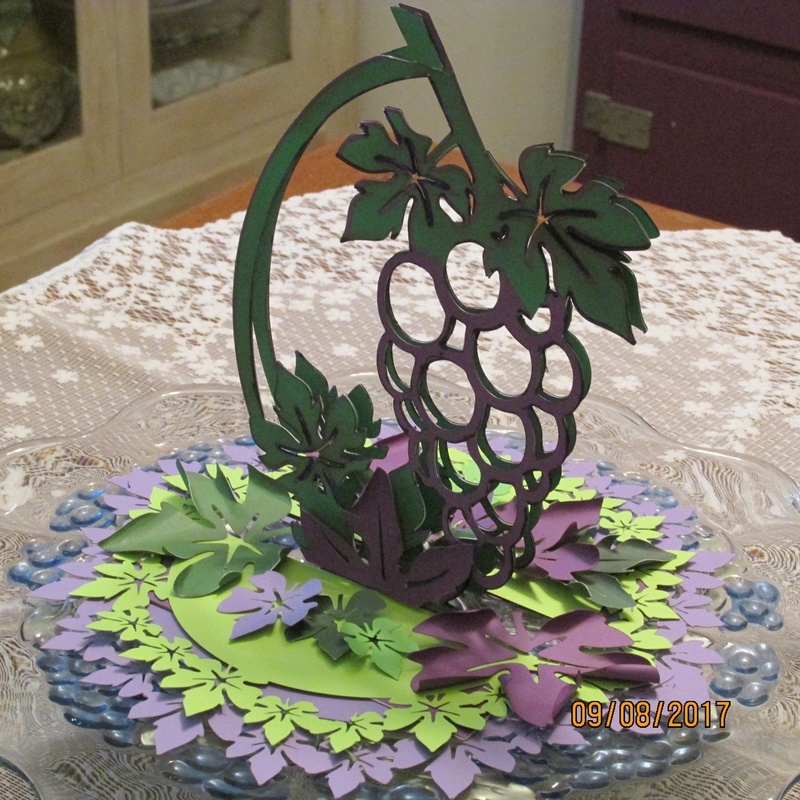 That is just beautiful - love it - I really think the dark green works so well on the upright with the purple grapes. Makes a brilliant table piece.